Diabetic Peripheral Neuropathy Frequent Questions | Parker Foot and Ankle What are the primary causes of neuropathy? There are numerous problems that could cause nerve damage symptoms like tingling, burning, pain, or numbness in your feet. In about a third of cases, the causes of neuropathy may not be clear. Of those which are known, however, about half are a complication of diabetes. This is because unregulated sugar and insulin levels can cause plaque buildup and poor circulation, which means nerves do not receive the oxygen and nutrients they need to stay healthy. Deteriorating nerves cannot function as they should, thus the symptoms listed above. Diabetes is not the only culprit, however. Infections, injuries, drug reactions, alcoholism, vitamin deficiencies, inflammatory conditions, cancer, and diseases of the liver and kidney are also common factors. Because neuropathy can have adverse consequences for your feet, you need to have such underlying conditions treated to manage your symptoms. At Parker Foot & Ankle, we provide the latest technology as well as a well-rounded neuropathy treatment program that has had great results in restoring nerve health in our patients. Call our Houston office today at (281) 497-2850 for more information or an appointment to discuss your foot issues. Can I have neuropathy without having diabetes? Neuropathy is a general term used for problems with misfiring nerves creating pain and numbness. This has many causes, and although diabetes is one of the most common culprits, it is by no means the only one. Other diseases can damage nerves, particularly ones affecting the kidneys, liver, and connective tissues. Autoimmune diseases like lupus and rheumatoid arthritis may cause it as well. Even infections like Lyme disease, shingles, and HIV can contribute to it. Injuries are common causes of neuropathy, too, especially in the lower limbs. Damage to nervous tissue or an injury pressing on a nerve can create neuropathy symptoms. Tumors and other growths could press on the tissue as well. Exposure to toxins, extreme alcohol consumption, and vitamin deficiencies can all lead to painful nerve damage. If you’re struggling with nerve pain, contact Dr. Robert Parker at Parker Foot & Ankle. We’ll help you identify the source of the problem and get the care you need. Make an appointment at our Houston, TX, office online or by calling (281) 497-2850. Whether or not you can cure peripheral neuropathy depends on the underlying condition and how much damage has already occurred. A variety of conditions cause peripheral neuropathy, including vitamin deficiencies, diabetes, traumatic injuries, and even alcohol abuse. For vitamin issues, the symptoms can be addressed, and sometimes reversed, by consuming more of the needed nutrients. For other issues, however, you probably won’t be able to reverse any damage. Managing the underlying condition and treating the symptoms will help prevent the problem from progressing and reduce your discomfort. If you’re concerned that you have neuropathy, don’t wait to investigate the problem. The sooner the issue is addressed, the more likely that it can be halted, or even corrected, minimizing the damage. Even for the cases where the issue can’t be cured, managing the problem will help you avoid painful complications. Contact Dr. Robert Parker here in Houston to make an appointment by calling (281) 497-2850 or by using the request form on the website. If you have diabetes, at some point you have probably wondered, “Is neuropathy preventable?” There is no guarantee that you can completely prevent damage from diabetic neuropathy; however, by controlling your diabetes, you can decrease your chances of developing dangerous complications. You’ll need to work to keep your blood sugar levels stable and within a healthy range. You may need to make lifestyle changes, too, such as exercising more regularly, eating more vegetables and fruits, and using supplements that are good for nerves, like vitamin B-12. Avoid risk factors that contribute to nerve injury too. Give up smoking and tobacco usage if you haven’t already. Limit your alcohol consumption as well. Refrain from staying in one position for hours at a time if you can, so that you are less likely to pinch a nerve. If you need help managing your diabetes or any stage of nerve damage, contact our expert team here at Parker Foot and Ankle. Call our Houston TX office at (281) 497-2850 or use our website request form to reach us for more information or an appointment. 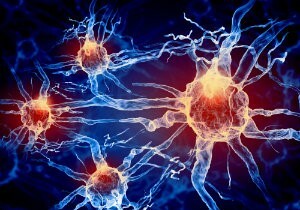 How do I Know if I have Nerve Damage from Neuropathy? If you are diabetic, chances are you will suffer from nerve damage at some point. High blood glucose levels, smoking, having diabetes for years, obesity, and lower levels of insulin all contribute to this condition. Damaged nerves can lead to peripheral neuropathy, or a loss of feeling in your limbs. If you notice numbness, tingling, or burning in your feet you might be in the early stages of peripheral neuropathy. You may also feel as if your muscles are becoming weaker, and walking may become more difficult. Danger increases if it is left untreated or unmanaged, because you may not feel an injury and sustain a wound that won’t heal. When you have peripheral neuropathy you have to remember to check your feet every day for abnormalities and get them treated immediately. If you have questions about nerve damage caused by diabetes, call Dr. Robert Parker at (281) 497-2850 to schedule an appointment at Parker Foot and Ankle in Houston. Neuropathy, short for peripheral neuropathy, is damage to the nerves in your extremities. This can leave you with numb patches, burning, aching, weakness, and tingling in your lower limbs. Many different problems can result in damaged nerves—diabetes, alcoholism, and some autoimmune diseases all can slow and impair nervous tissue. Trauma or compression, whether from a tumor or just being pinched, can also result in permanent injury. The key to relieving any nerve pain is to catch and treat the problem early, before it worsens. Here at Parker Foot & Ankle, we understand how difficult life with neuropathy can become, which is why we established the Neuropathy Care Center of Houston within our offices. We are experts in both conservative management of pain as well as surgical solutions to persistent problems. Don’t wait! Find help for your nerve pain. Contact Parker Foot & Ankle in Houston for an appointment or more information about this difficult condition. Call (281) 497-2850 or visit the online contact page to reach us. You develop tingling feet when nerves are impaired. Nerves are sensitive tissues. Getting pinched, compressed, or otherwise trapped can injure them and create an uncomfortable tingling. Other issues can also damage nerves and have a similarly painful effect—like diabetic neuropathy, poor circulation, systemic or autoimmune diseases, and even strokes. Damage and pain from nerves that are pinched or compressed can be mild and temporary. Crossing your legs for too long, as well as sitting or lying in an odd position, can compress nerves in your limbs and lead to tingling or pins-and-needles sensations in your feet. Decompressing the nervous tissue can then get your lower limbs back to normal. The longer your nerves are impaired, however, the more the uncomfortable sensation worsens, or even becomes permanent. That’s why taking care of nerve pain right away is so important. Let foot nerve specialist Dr. Robert Parker at Parker Foot & Ankle help you deal with tingling feet. Call (281) 497-2850 to make an appointment at our Houston office.